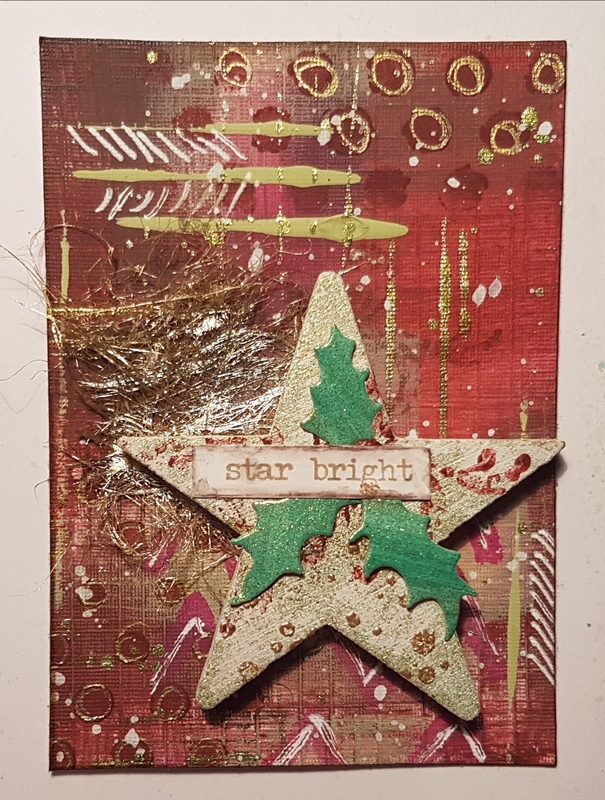 Today I have some different types of ATCs for my Christmas card topper challenge. 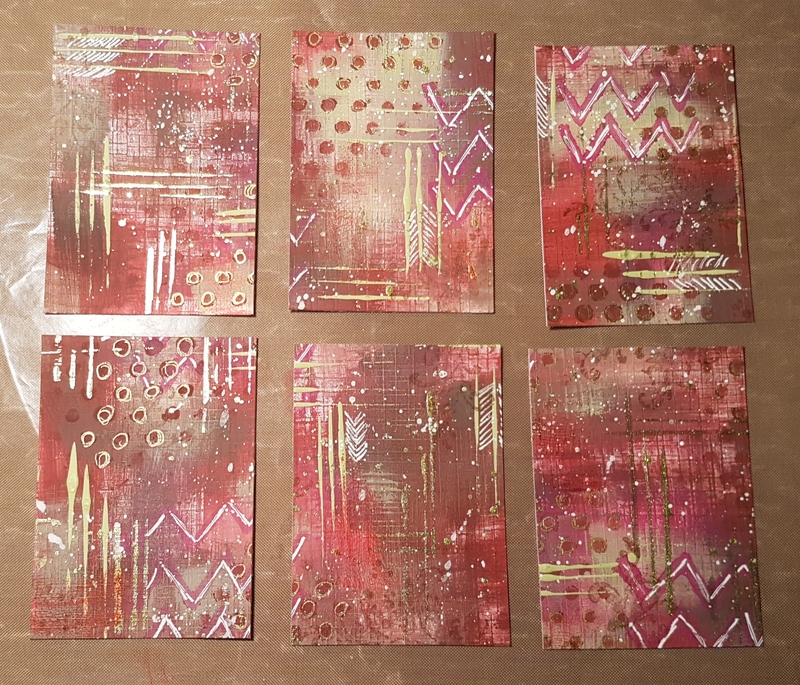 I wanted to create some full on textural 3d ATCs. 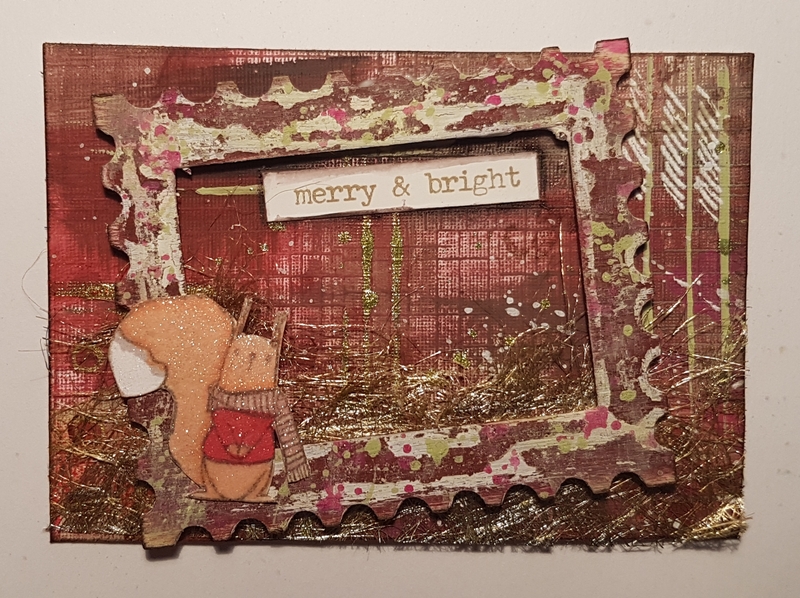 I started with a sheet of cardstock and created a fun background using some rich coloured fresco finish paints… mahogany, chocolate pudding, Bourganvillia and guacamole. 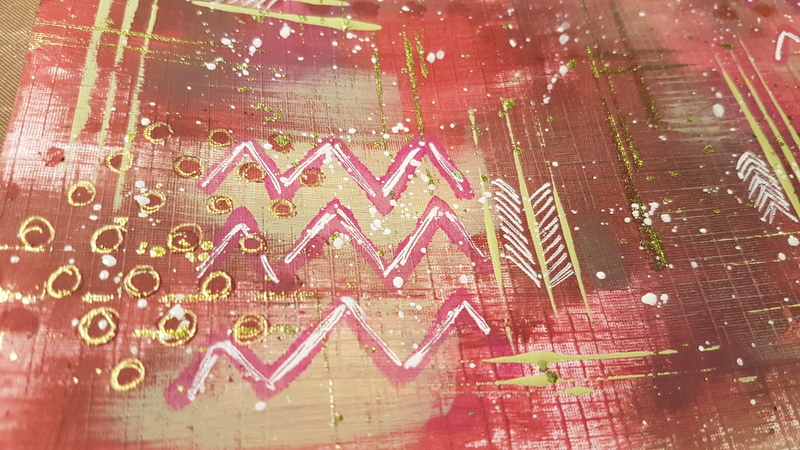 I also added some of the Art Alchemy Sparks paint which is a green gold colour (fairy wings). 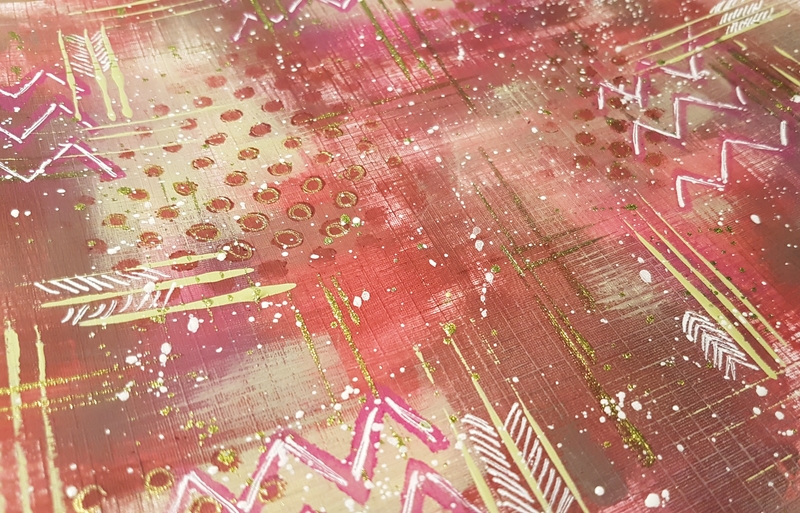 With layers of colour down I added some stencilling and some doodling and plenty of splats of the Sparks paint and some gesso too to add some more white. Then it was time to cut it up into the ATC panels…. it’s always a breath holding moment when I do this to a piece of background I love so much. But now there are six beautiful bits of art to play with! I had a rummage through my Artful Days Goodie box supplies and hunted out a few things to play with… starting with the frames. 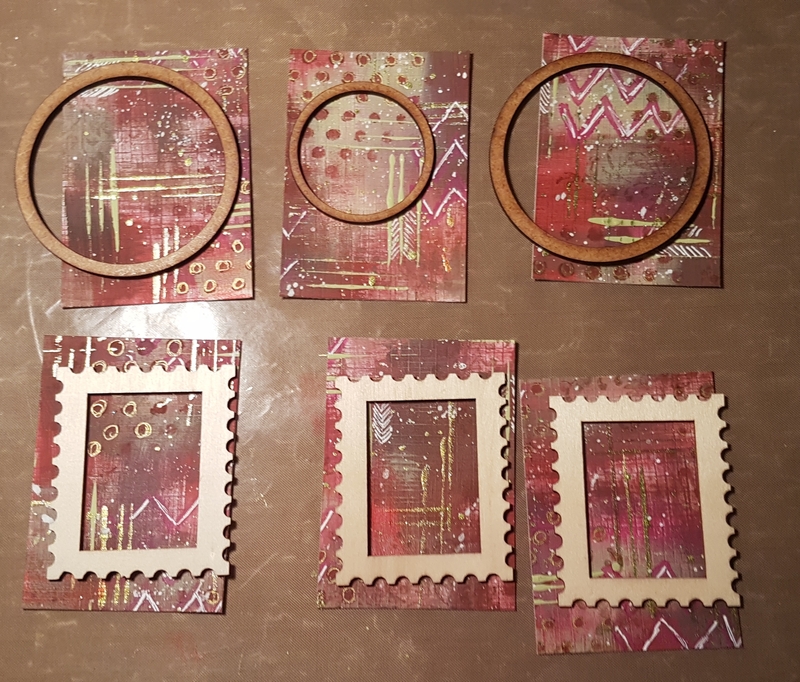 But although there are clearly two different types of frame going on I still wanted them all to look different so chose different ways of finishing them off. I used lots of layers on the frame of frantage. I find it so annoying to use this stuff as it tends to blow away with the heat tool so creates a lot of mess on my desk… but I love the result. 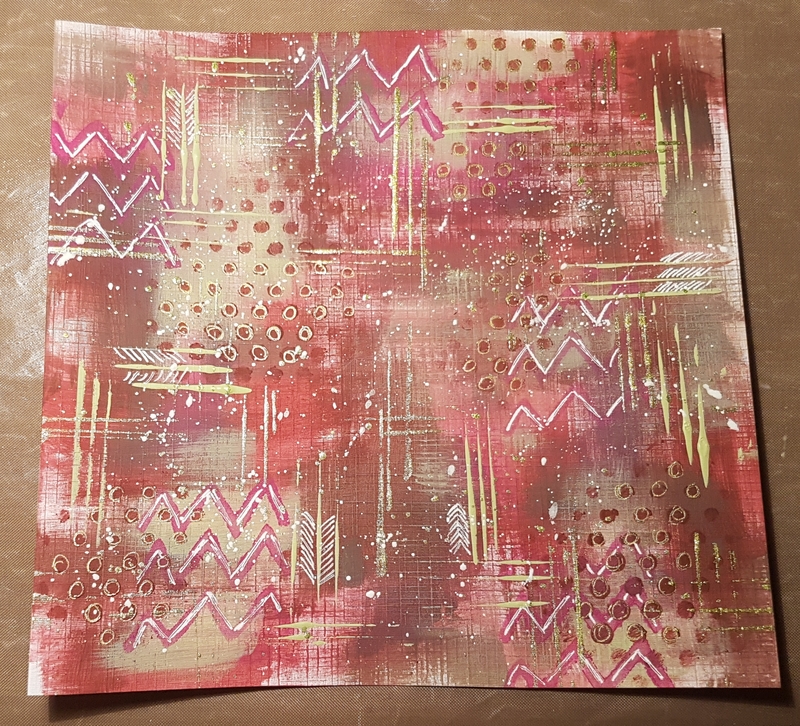 I added the gold Angel hair and then the Tim Holtz die cut (from a piece of card I wiped off the paints on whilst working on the background). I added some gesso to the resin angel and then sprinkled some of the frantage on that too. Finished off with edging it with brown ink. This one I decided to use the small circle frame and keep it simple so gave it a coat of the mahogany paint. 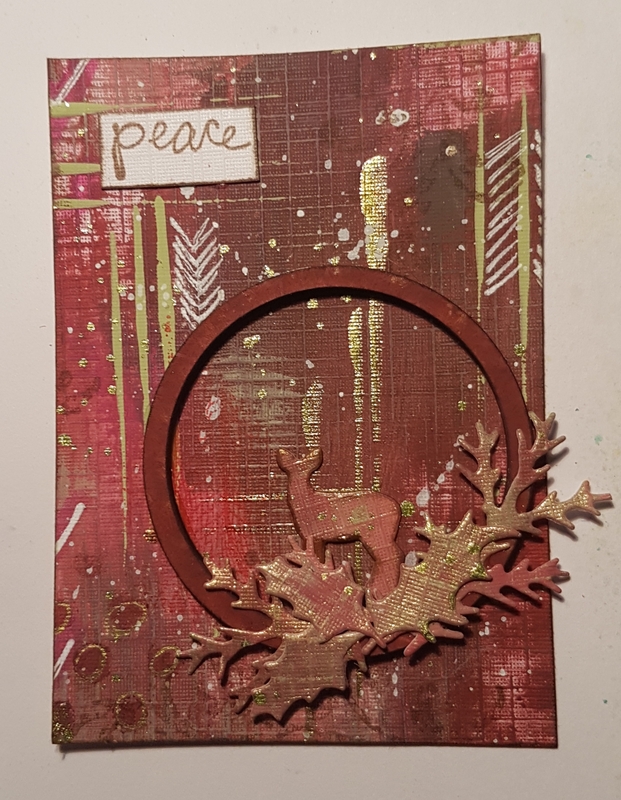 I then die cut the deer and the little bits of greenery out of some cardstock I had wiped my brush off when creating the background. I edged the deer with brown ink though to give it a little more definition and then added the sentiment using a stamp. The next one I wanted add a soft feather. I decided to jazz the circle frame up a little and added gold embossing to the dictionary print I had stamped on it once the initial coat of mahogany paint was dry. 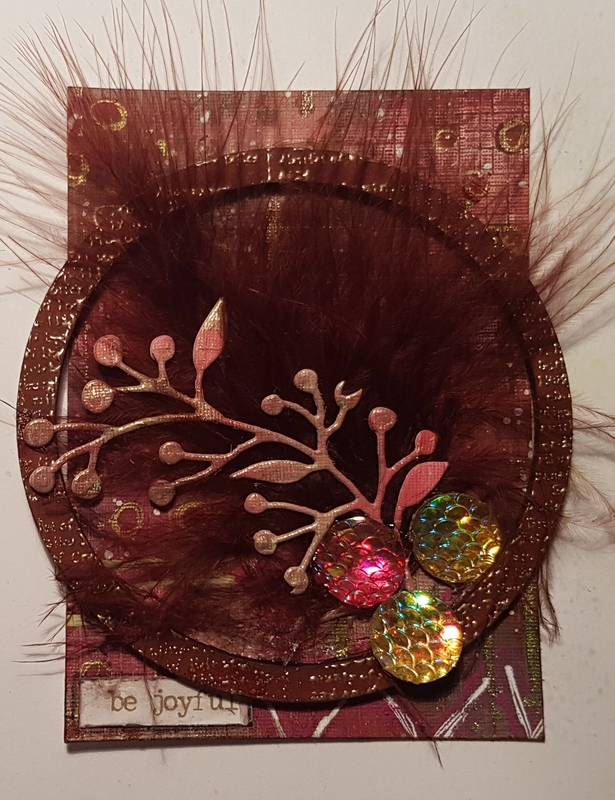 Then I added the feather and gems and the little Tim Holtz sticker to finish. For this frame I added lots and lots of the Sparks paint on top of a coat of mahogany and it is super sparkly. As a result I kept the rest of it fairly simple. 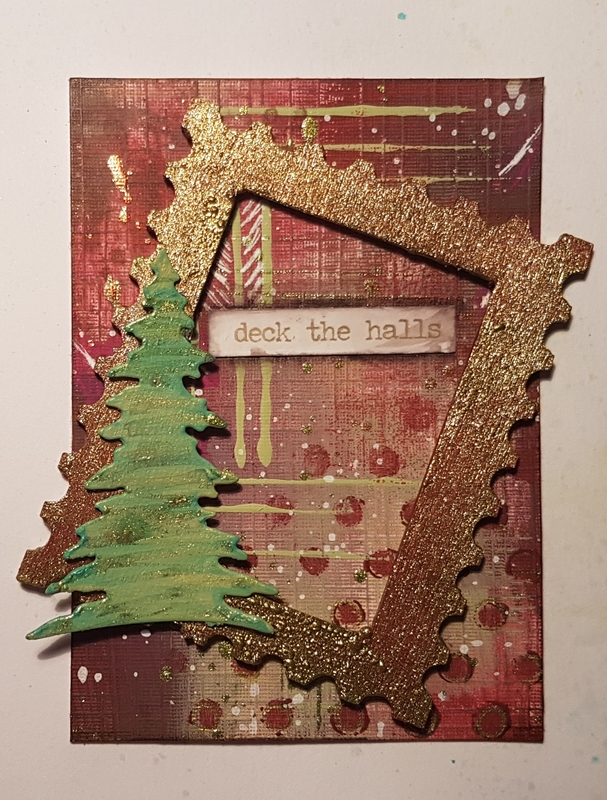 I painted the tree die cut with a mix of the green patina paint, guacamole and the Sparks paint to provide a fun finish. I edged the Tim Holtz sticker with Inktense pencil to add depth too. I had to dig out my favourite stamps of the year and add in a squirrel for this one. 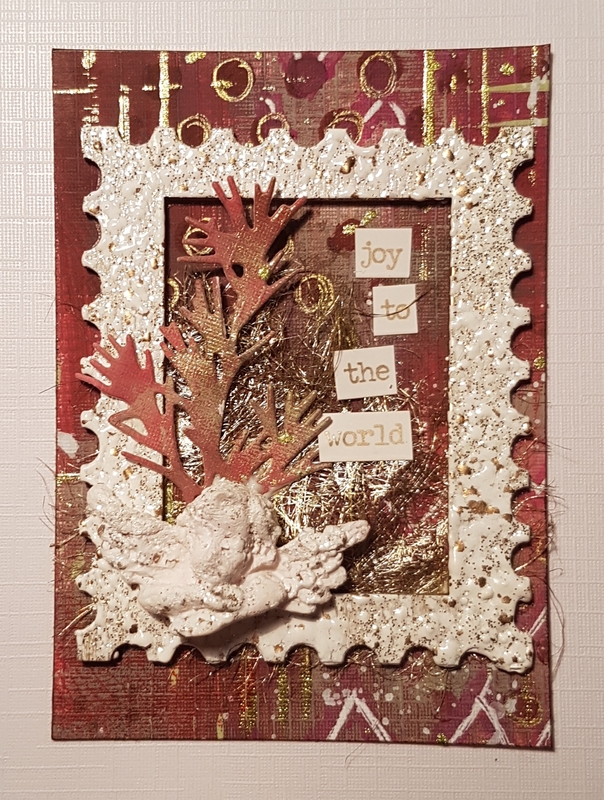 I rotated the ATC to make it landscape and added the angel hair along one edge and added the frame at an angle. The frame I added lots of layers of paint and sanded it back. This created a really mottled distressed finish. I coloured my squirrel with promarkers and gave him a generous coat of wink of Stella to finish. Again I used Inktense to add depth and shadow round the sentiment sticker. For the last one I decided against using the last circle frame and instead chose to use a wooden star as the main element. I painted it with chalk paint and then lightly added the Sparks paint and stamped a timeless textures stamp in mahogany lightly. I then also embossed some tiny gold dots onto it. I layered it up with some Angel hair. Then I decided to die cut some holly leaves from a scrap of card I had painted with the green patina and the Sparks paint. These worked perfectly to surround the sentiment. Again Inktense pencil added some shading. Super happy with these very 3d ATCs. These are not likely to get posted but instead made into cards for people I can hand them to.